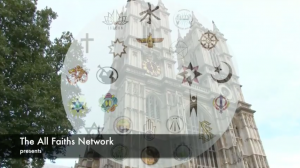 Last month the All Faiths Network hosted an interfaith forum concerning governmental and institutional responses to religious extremism. 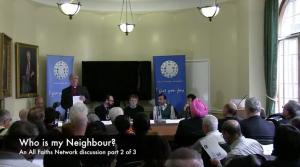 The debate explored critical issues, including suggestions that Government subsidies to interfaith bodies are failing to improve relations between faith communities. It was suggested that some bodies had been hijacked by unrepresentative cliques with links to extremist factions. The meeting also emphasised the need for open, honest and truthful dialogue between all concerned. 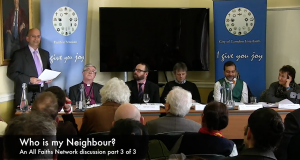 Our panel, including Rabbi Reuben Livingstone, Dr. Damian Thompson (Editor of the Catholic Herald), Sheik Dr. Muhammad Al-Husseini, The Rt. Revd. Graham James (Bishop of Norwich), Educational Consultant Mrs. Judy Keiner, and Pandit Satish Sharma.